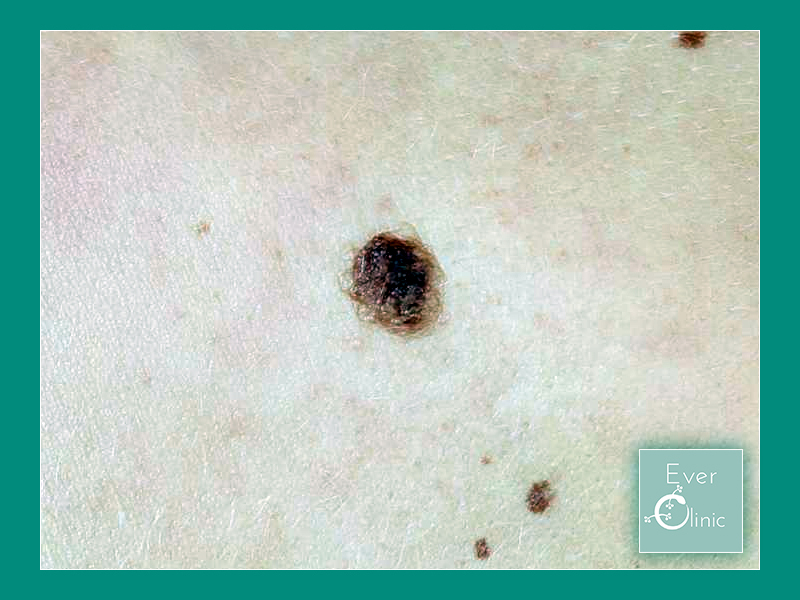 Seborrheic Keratosis typically are rough and have a ‘stuck on’ appearance. Their colour may range from golden brown to mid brown to almost black. They affect all skin types, but in dark skin they may also appear as multiple small dark brown or black bumps, especially on the face and the neck – in such cases this is called Dermatosis Papulosa Nigra. Size varies from less than one centimetre to several centimetres in diameter. Seborrheic Keratosis occur most often on the trunk, but they are also common on the head and neck. Some people may have just one lesion whilst others may have hundreds. Lesions are usually asymptomatic but sometimes do itch. Part or all of the Seborrheic Keratosis may also fall off with minimal trauma. Seborrheic keratosis (SK) is one of the most common benign skin lesions treated by doctors. Also known as seborrheic warts and basal cell papillomas, their cause is not fully understood. Sunlight and human papilloma virus (HPV) may be risk factors and there seems to be a tendency for them to ‘run in families’. Why is it important to be treated by a doctor? Traditionally Seborrheic Keratosis’s were treated without biopsy and were most frequently frozen off using liquid nitrogen. Occasionally, the abnormal ones were excised (cut out) to make sure they weren’t cancerous. A number of studies have now shown that SKs can in fact be melanomas in disguise. An example study found that when suspicious looking SKs were sent for pathology, up to 8.2% can be melanomas. With the introduction of dermoscopy in 1998, came much more accurate diagnoses. Dermoscopy uses mixed light sources to actually look into the skin, confirming the clinical diagnosis of SK by assessing specific dermoscopic features within the skin. Sadly, the majority of non-doctors are unable to perform dermoscopy and even among doctors this is a relatively new skill. Unfortunately, the NHS does not currently fund SK treatment. Recommended treatment will be guided by your doctor as this will vary depending on the size and thickness of the particular SK of concern.